1. Ferrero Rafaello Milkshake – For those of you who don’t know what Ferrero Rafaello is, where have you been living?! It’s basically the white chocolate and coconut version of Ferrero Rocher. Also if you haven’t tried the chocolate I strongly suggest that you go and pick some up, they are seriously good! Fenton’s in Stratford Westfield now have ‘Rafaello Rocher’ ice cream which they can transform into a milkshake for you and I have just one word to describe it – Heaven! 2. 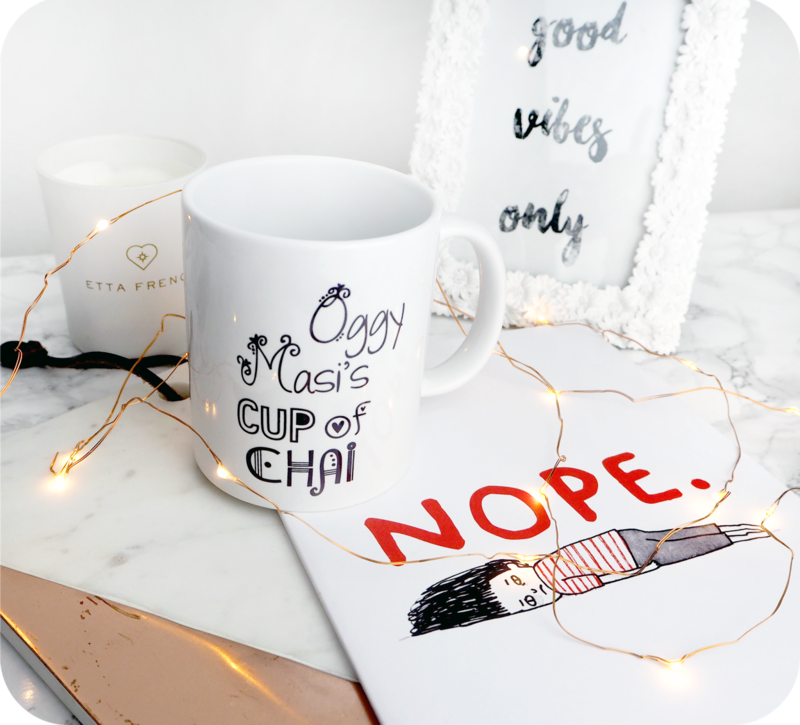 Ohh Deer – I’ve heard of Ohh Deer for quite some time now and have always loved their quirky illustrated gifts. I’ve put myself on a stationary ban because of all the endless notebooks I have but when I saw the ‘Nope’ notebook it really called out to me and I just had to have it. Check out their full collection here [link removed]. 3. Ghostbusters – Having siblings that are much older than me meant that I watched a lot of the 80’s classics including Ghostbusters. This was a firm favourite of mine and come to think of it I probably even know the original script by heart. Going to watch the newer version was a no brainer and the fact that it had an all girl cast made me want to go even more. Girl power! Despite wanting to watch it, I wasn’t expecting much from it but I have to say, I was surprised at how much I enjoyed the new film and the guest appearances of all the original cast, kooky receptionist included absolutely made the film for me. 4. Cup of Chai – Unexpected presents are always so nice. One of my favourite cousins came down to visit for a week and got me the cutest mug from her two daughters. I’ll definitely be taking with me to work so no one can drink from my mug again! 5. Sketchbook Circle – Some of you may or may not know that I’ve joined a sketchbook circle. 12 of us do some doodling in a sketchbook and at the end of each month we pass it on to the next person until the end of the year where we receive our original sketchbook back. Hopefully it will be filled with beautiful drawings from amazingly talented local people who I would have never have met otherwise!